If this is the kind of design that Royal College of Art student Hannes Harms is producing while he's still in school, he has a long lustrous career ahead of them. Because this flat, foldable boombox is already something worth lusting over. 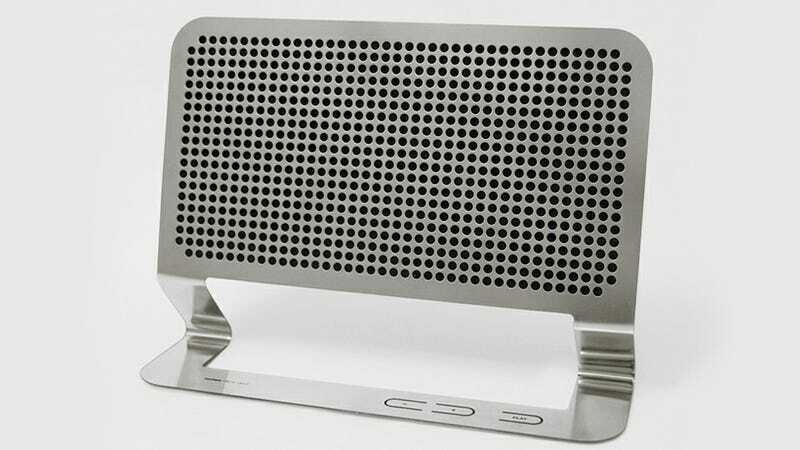 Made from half-millimeter thick laser cut stainless steel backed by an ultra-thin electrostatic flat speaker, this compact speaker can be easily shipped on the cheap. And when it arrives, the only assembly required would be some rudimentary origami along pre-scored lines to form the speaker's stand. The results are all kinds of beautiful, but it's too bad the necessity for wires would muck it all up.